Congress’s Bhujanga Shetty to contest as independent candidate? Udupi, Dec 05, 2015: Congress leader B. Bhujanga Shetty on Dec 4, said that he would file his nomination papers as an independent candidate for the (Udupi and Dakshina Kannada) Local Authorities constituency for the Legislative Council. Addressing presspersons here, Shetty said that he was opposed to the ticket being given to the sitting MLC, Pratapchandra Shetty, especially when the latter had himself stated that he was not interested in contesting. He said that he had contacted his sources in the Congress party high command and they had told him that no decision had been taken on the candidate for the Local Authorities constituency. 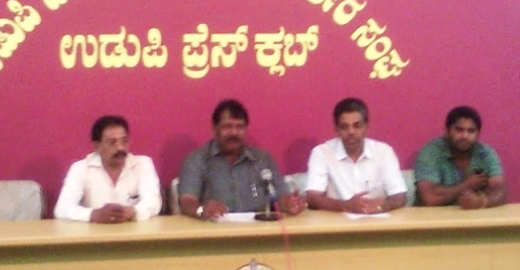 Media reports were consistently stating that the ticket would be given to Pratapchandra Shetty even though he had not even applied for the constituency. “With the high command not revealing the name, I have no other alternative but to go by the media reports. Bhujanga Shetty said that 10 Congress candidates from Udupi district including former MLA K. Jayaprakash Hegde had forwarded their applications to the Karnataka Pradesh Congress Committee (KPCC) only after Pratapchandra Shetty said that he would not contest from the seat. Instead of picking up a candidate from those who had applied for the seat, the high command was interested in Pratapchandra Shetty. This had led to lot of bad blood in the party. He is stated to have said that he worked for party for last 45 years and had not sought ticket to contest for the Local Authorities seat for the last 18 years. But every time after promising the ticket was denied. Both the Congress and the Bharatiya Janata Party (BJP) have reached an understanding to contest one seat each of the two Local Authorities seat so that both their candidates could get elected for next six years. He could not understand why the Congress was shunning elections.